Patients and families rely on nurses to hold their hands through tough times, simplify their decision-making, and be their advocates. In the fast-evolving world of healthcare delivery, nurses are doing more. 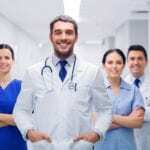 They form the largest part of the healthcare team and can be found at the bedside or in the boardrooms influencing decisions that impact the entire healthcare system. To direct the efforts of healthcare teams, the next generation of nurses must be prepared for practice in the transformational healthcare system and empowered to develop and lead innovations. The Doctor of Nursing practice covers extensive training designed to develop expertise in a specialized area of practice. Students will learn how to translate evidence into practice in complex healthcare settings, including primary care where nurses are most needed. Due to their expertise and ability to lead and impact policymaking, graduates are sought out by leading healthcare institutions. As one of two doctoral degrees available for nurses, the DNP is a practical professional degree that leads to multiple professional pathways. It is designed for those who want to continue in practice rather than scholarly research. After a few years of comprehensive study, DNP graduates will be eligible for leadership roles. The DNP curriculum covers leadership training in addition to technical nursing skills. The development of leadership abilities enables nurses to make judicious decisions when faced with complex problems. They can head organizations in executive positions or operate small clinics catering to patients in rural areas. The curriculum also allows the pursuit of specialized care, allowing students to pursue an area of nursing that is important to them. 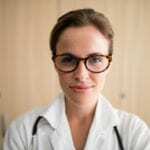 There are numerous concentrations to choose from, including psychiatric mental health, family nurse practitioner, pediatric primary care, and adult-gerontology acute care. As healthcare undergoes rapid changes, from the management of diseases to advanced technologies, clinicians must keep up. The DNP curriculum covers the latest innovations in healthcare and trains students to stay on top of trends through continued healthcare education. The shortage of primary care physicians increases demands for DNP professionals. Graduates can fill gaps in the delivery of primary care, especially in rural and medically underserved areas. In view of this role, the American Association of Colleges of Nursing endorses the DNP as the minimum educational preparation for nurse practitioners. Continuing your education from the BSN or the MSN to the DNP will help you to stay competitive and take your practice to the highest level. The question of whether you need the DNP degree to get to the pinnacle of clinical practice may be at the forefront of your mind. If you’ve had immeasurable success as an advanced practice nurse with a master’s degree, pursuing the DNP may not be at the top of your to-do list. Going back to school costs money and it will limit the time you have available for innovative patient care. At the other end of the spectrum are registered nurses who are considering advanced practice. Is it worthwhile to enroll in the RN to DNP to get the benefit of both degrees offered through a bridge program? The American Association of Colleges of Nursing developed the Essentials of Doctoral Education for Advanced Nursing Practice and designated the DNP as the terminal degree for nurses in response to an Institute of Medicine report. 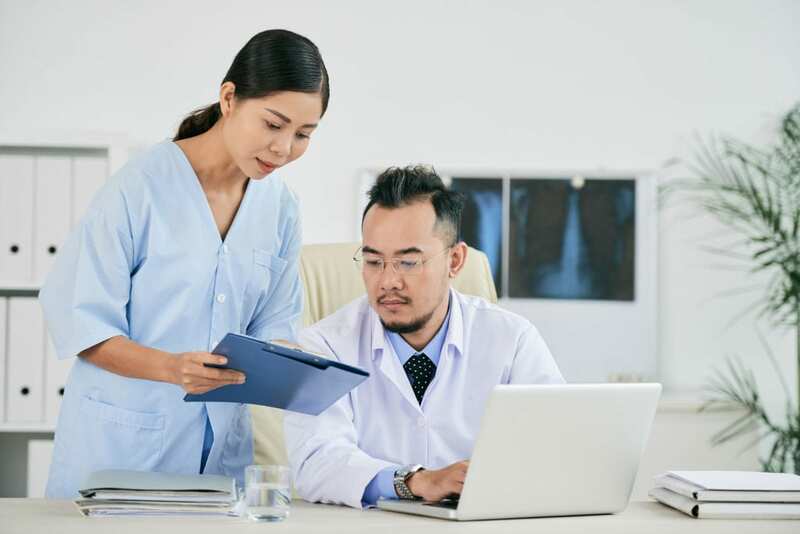 In the report, the IOM called for a change of focus to translational research, teamwork, and technology from nurse practitioners and physicians. The suggestion to increase the level for preparation for nurse practitioners from the MSN to DNP also arose in response to their increasing role in provision of primary care to vulnerable populations. The goal date for raising the educational preparation has come and gone, but state boards continue to recognize the MSN for licensure in this role. While there’s a possibility of change in the future, the DNP remains an option for those interested in providing expert care in a leadership capacity. The application of research findings in practice helps to improve patient care, patient outcomes, and patient satisfaction. The results of methodological research can only benefit the healthcare system through the judicious use of findings. DNP-prepared nurses have the clinical expertise to translate research, developed by Ph.D. nurses, into workable solutions that will benefit patients, families, and communities. They accomplish this through the development and implementation of new protocols. The DNP education makes it a seamless process, where in the past, there would have been roadblocks and heavy reliance on familiar protocols. As a critical part of their implementation of evidence-based practice, DNP nurses also use their expertise and experience to include multidisciplinary teams in the plan of care. According to a Bureau of Labor Statistics 2017 report, the registered nursing workforce is now close to 3 million strong. In spite of the workforce’s size, it is insufficient to meet society’s need for competent caregivers, especially as more than half the workforce is approaching retirement. The preparation of new nurses is the only way to boost the workforce to meet demands, but the decided lack of faculty impedes the process. Nurses prepared at the DNP level can fill vacancies for nurse educators in colleges and universities to help produce competent professional nurses. Though compensation for nurse educators are not on par with clinical positions, the continuity of the profession depends on the selfless contributions of those who respond to the call for qualified faculty. However, nurse educators are not limited to the classroom. They can mentor peers, function as preceptors in the hands-on part of the nursing program, or supervise researchers in their quest to develop findings that will enhance the delivery of care. To get the best of both worlds, some nurses balance clinical practice with nurse educator positions and make worthwhile contributions to the advancement of the profession. The DNP is an expensive and time-consuming investment, but it is worthwhile as it will enrich your practice. The total investment will depend on your current status – whether you’re at the MSN or BSN level. If you’ve already completed an MSN degree, earning the DNP will take less time and money, and most of the coursework can be completed online. In contrast, BSN students will need to commit more time and money to the course of study through the bridge program eliminates duplication of courses. The average completion time for bridge programs is nine semesters. For APRNs practicing with an MSN degree, the DNP provides a decided advantage in terms of compensation, opportunities to lead, and competitiveness. As more employers recognize the contributions of DNP nurses, they are more apt to select candidates who have completed the terminal degree. According to recent figures, nurse practitioners with a DNP can earn as much as 25 percent more than MSN nurses. When legislation mandates a DNP for practice as an APRN, those who complete the DNP will be well ahead of the curve and will be recognized as the best candidates for leadership positions. DNP programs follow an online model that lets nurses fit education into their busy schedule. The program still requires a substantial commitment of time, but it allows some flexibility to get through the coursework on their own terms. Students learn from expert faculty who provide valuable insights into nursing trends and specialty care. The objective of the practice-focused curriculum is to produce expert clinicians and executives who will function at the highest levels to improve health care outcomes. The curriculum emphasizes innovative practice, the use of evidence in decision-making, and the translation of research findings to positively influence patient care outcomes. Upon completion of the program, graduates will be able to translate evidence to improve outcomes for patients, families, and communities, design new models of care, prepare leaders, lead inter-professional teams, work independently in specialty practice, and shape healthcare policy. Included in the program is a DNP residency that requires completion of at least 1,000 hours of clinical practice. Hours from the master’s degree coursework may be credited to the required hours. In addition to the residency, students will complete a scholarly project to demonstrate mastery in their chosen area of specialty. Submit a transcript from each post-secondary institution attended. The best way to save money on graduate study is to attend a public university. The average cost of graduate study per credit in the University of Tennessee system is $587. Additional costs for supplies and books must be added to the final cost.